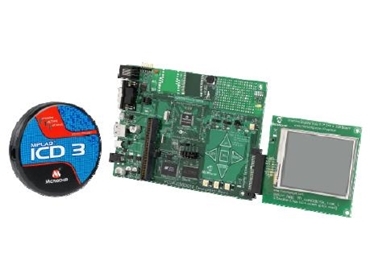 element14 Pty Ltd offers a new range of development kits from Microchip designed as cost-effective, flexible and innovative development solutions. Microchip’s development kits enhance element14’s product portfolio of electronic design-centric products in the Asia Pacific region. element14, formally known as Farnell is a fusion of commerce and community supporting millions of engineers and purchasing professionals worldwide. element14 adds the cost-effective and versatile development kits from Microchip to its growing inventory of over 120,000 unique components. Microchip’s development kits enable an innovative platform for development evaluation for electronic design engineers in the APAC region. Touch sensing technologies have become a standard in high-in-demand consumer electronics including mobile phones, computer screens as well as GPS devices and electronic design engineers need innovative development solutions that have extensive capabilities to keep pace with the changing demands. Serving as the cornerstone for the PIC24FJ256DA210 family, the Microchip development kits facilitate a low cost and highly flexible platform that allows design engineers to evaluate the features and performance of the series with integrated graphics, USB and mTouch. Designed to allow electronic design engineers to analyse and adjust their designs’ touch sensing functions, the mTouch series is the newest addition from Microchip to element14’s expansive product inventory. As part of an unrivalled purchase and support experience through element14’s unique offering, customers can buy with ease and flexibility via multiple channels for next day delivery. 24/7 customer service telephone support and 24/5 online technical support in local languages are also available.